This week I finished a scratch-built 'chem tower' for Necromunda / Inquisimunda. 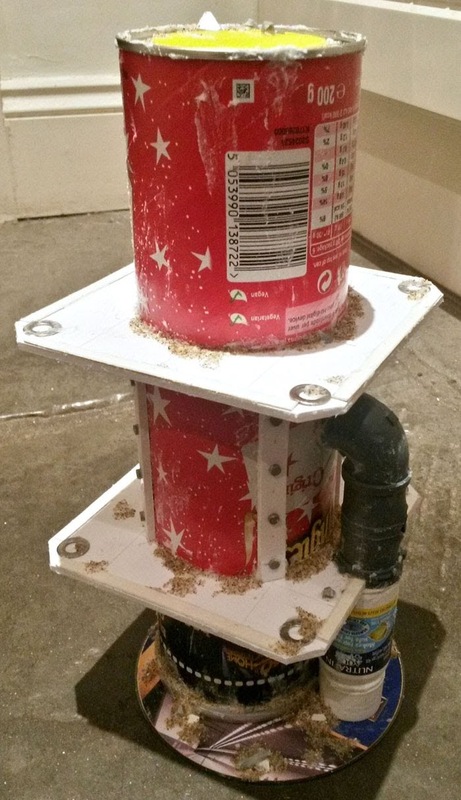 This was a simple build based on an old CD, & using a Pringles tube for the central tank. I added a pipe using a little aquarium chemical bottle & a couple sections from the useful Mantic Games Industrial Pipeline kit. I also added some platforms & support beams using 3mm foamboard, with detail using cereal pack card, washers, & slices of cylindrical sprue for large bolts. The grille on top is a 'raft' left-over from a 3D-printing job. I then added a bit of texture using coarse paint thickener, & a few bits of debris here & there, with sand for grit.